Welcome to my blog. Thank you for your interest in my hike. I’ll try to share as much as I can. Service is spotty until I get into towns so that’s mostly where I will be posting from. I began my thru hike on March 15 at Amicalola Falls doing the approach trail. I stayed at the shelter at the visitor center the night before my start. When I pulled into the park it was already snowing. It gave me a feeling of excitement and worry. One of my biggest concerns with the gear I brought was being warm enough , and that night was dreadfully cold. Only later did I learn many people that were on the trail already got off for that night because of the severe weather. That evening met another hiker, Martin, from the Netherlands. He talked about long distance hiking Scandinavia, Morracco, Canada and all of his other wordly travels. An interesting man nonetheless. He carried none of the lightweight gear I have and have seen throughout the trail. His pack was an external frame with the frame cut out and his sleep system consisted of a bunch of blankets and a tarp. The Flying Dutchman. Ok, back to the start. 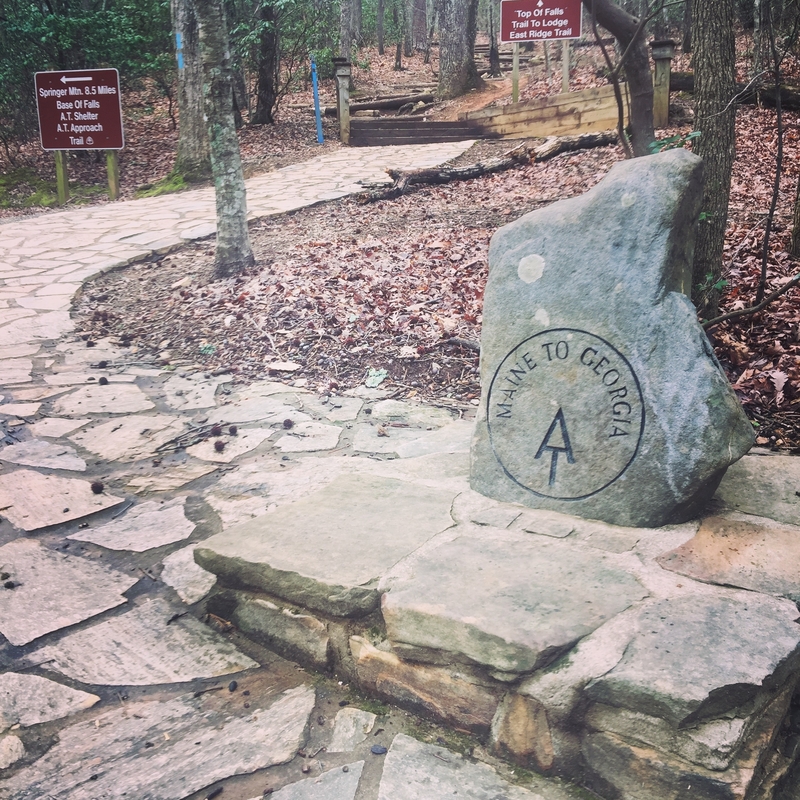 The beginning of the approach trail starts with 604 steps to the top of Amicalola Falls. That’s right, 604. If you have any doubt, they’re still there if you’d care to climb them, or you can take my word for it. In the early morning cold, with a restless night, they were brutal. The rest of the approach trail to Springer Mountain (the official start) was not a walk in the park either. I quickly learned how fast I burn through calories/energy climbing the summit. I planned to stay at the shelter near the summit but on the top of the mountain everything was covered in snow and windy. I had to get off the top. 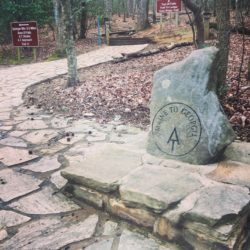 I descended 2.5 miles to the next shelter where I met my now trail family. More on them later. The next two days were killer. The soreness and pain from the first day shined through. Hiking around Austin with base weight does nothing to prepare one for the mountains of Appalachia. My knees have never ached so bad. To be honest I pushed myself hard. Just to the limit to stave off any major injury, I only added some undue misery. But I was excited and filled with excitement. I would have sat in that misery had it not been for my trail family. Getting into camp and seeing familiar faces and sharing laughs does wonders for uplifting spirits. The views I have seen so far have been stunning. Any picture I have posted does not suffice the beauty of Northern Georgia. 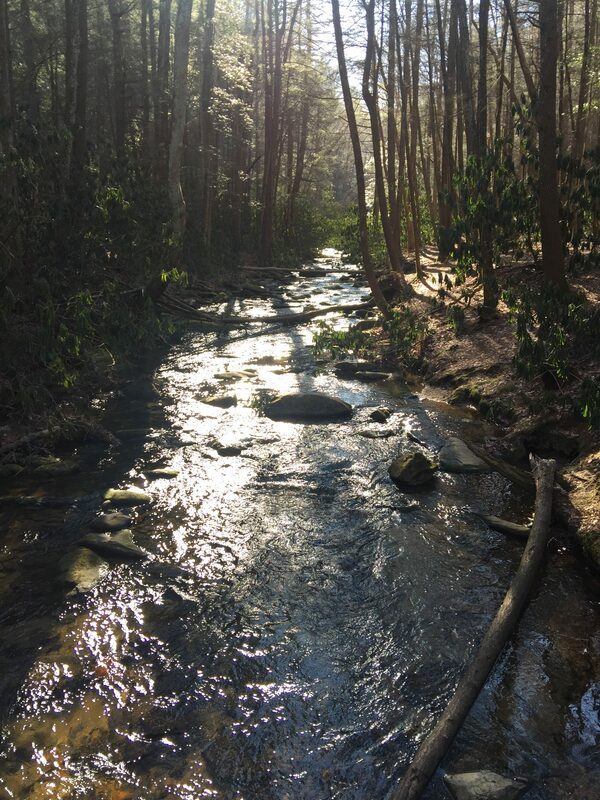 Sometimes it’s just a creek shadowed by early spring leaves of laurels. Or snow covered trees glistened by a late morning sun. Or an expansinsive view of crests and valley floors after a grueling climb. Or summiting a peak through lush greenery in a mountain mist. I am truly grateful and humbled by it all. I feel I have rambled on long enough but have so much more to tell y’all! Stay tuned and I will update as often as possible. From Appalachia with love. Enjoying your journey through your post. Love reading of your adventure. Your words create a great picture. You’re doing it! So glad to see that you are living your dream! There aren”t many people that have the fortitude to actually do it. You’re an amazing man. My only request is that you start adding entry dates on your blog. It will make it easier for us to have a better understanding of your timeframes and I think one day you will be happy you have the dates there for yourself. You have lots of cheerlearder! Be safe. Glad you’re keepin warm! I guess that makes us square 😉 ! Keep your eyes open and enjoy every second of it while the rest of us are back here in reality! I’ll send you photos of heat/air conditioning units, toilets, plated food, and mattresses. Have fun duder!